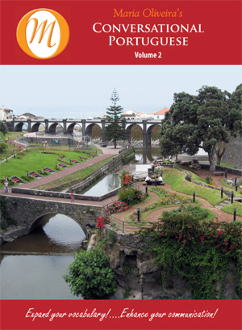 Conversational portuguese volume 2 continues the organized, user-friendly learning techniques introduced in Volume 1. The motivated student will be rewarded with practical lessons that reinforce what has already been learned while gaining new grammar and vocabulary expertise. More convenient than ever, 70 audio lessons to use when and where you wish.